We have designed this rule to allow States to design their own pathway forward that is consistent with where they want to see their future in their state and their economy…So we are continuing with collaborating with the States, recognizing that the glue that holds us all together is the flexibility that we have offered. 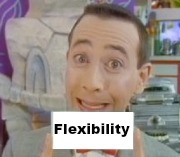 In fact, McCarthy’s use of “flexibility” is purely Orwellian. That’s because the Clean Power Plan is structured to wring blood from oranges, so there’s very little actual latitude when complying with the regulation. Here’s how it works: The rule takes all the known means of reducing GHG emissions within the electricity sector (plant efficiency, fuel switching, green energy production quotas, and “demand-side management), ratchets them up to an impossible degree, calculates the GHG reductions commensurate with each of these measures, and then uses the resultant aggregate emissions reductions to set a state-wide standard. In simpler terms, the rule’s targets are based on policies that are so thorough and stringent, as to leave the States no room to but to impose every known means of climate mitigation in the electricity sector, at levels that are unachievable in practice. (I wish I was exaggerating). This is not flexibility under any known definition of the word. The irony of Administrator McCarthy’s incessant use of the word “flexibility” when speaking about the Clean Power Plan was laid bare last week at a FERC technical conference on the rule, during the testimony of EPA Office of Air & Radiation Chief Janet McCabe. She tried to get away with the standard EPA “flexibility” spiel, only to be blown out of the water by FERC Commissioner Philip Moeller. Many critics have challenged the assumptions in EPA’s four “building blocks” for achieving compliance: heat rate improvements, more natural gas generation, nuclear and renewables, and energy efficiency. McCabe attempted to reassure FERC that there will be other ways to achieve EPA’s targets beyond the four spelled out in the agency’s proposed rule. But, pressed by Moeller for details, the command she had displayed in reading a prepared statement was replaced with halting, incomplete sentences. As reported, McCabe was reduced to “halting, incomplete sentences” when asked about alternatives to the policies on which were based all States’ Clean Power Plan targets (i.e., the aforementioned four “building blocks”). Ouch! In the real world, of course, “transmission upgrades” and “uses of power” in municipal water management are small potatoes relative to the “building blocks” on which the Clean Power Plan was founded. Thanks to McCabe’s “halting, incomplete” responses to FERC, we can now be certain the EPA’s “reliability” talk is manipulative mumbo-jumbo.